A trio of Lakewood residents were charged with selling marijuana and cartridges containing THC oil, the psychoactive property of marijuana that is used in vaporizers. The Ocean County Prosecutor’s Office said Tuesday that its Narcotics Strike Force collaborated with the Lakewood Township Police Department to conduct an investigation into the distribution of marijuana and THC vaping oils in the Lakewood area. On Monday, detectives from the strike force along with members of the Lakewood Police Street Crimes Unit and Special Response Team executed a no-knock search warrant at a township address and seized quantities of marijuana, THC extract, THC vaping oil, and drug paraphernalia as well as about $7,500 in cash. Henry Martin, 32, of Lakewood, was charged with possession with the intent to distribute more than one ounce but less than five pounds of marijuana in or within 500-feet of a public housing project possession with the intent to distribute more than one ounce but less than five pounds of THC extract, simple marijuana possession and possession of drug paraphernalia. Martin is lodged in the Ocean County Jail awaiting a detention hearing. 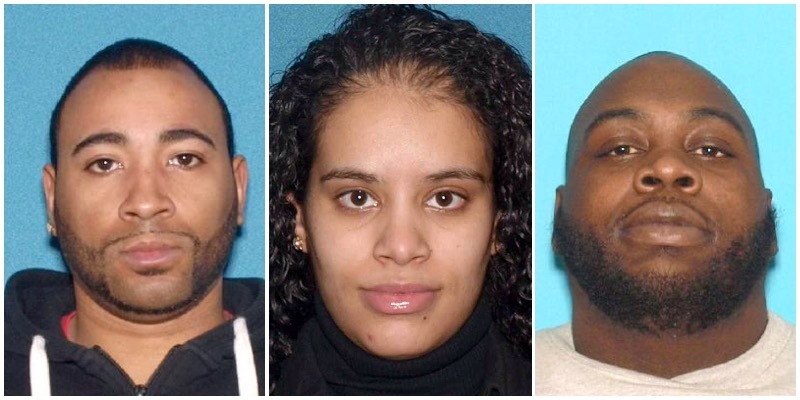 Janice Rivera, 31, and Darian Buddoo, 32, both of Lakewood, face the same charges and were lodged in the Ocean County Jail awaiting a detention hearing. The Ocean County Prosecutor’s Office Asset Forfeiture Unit will determine if additional charges are warranted, a spokesman said.